Finally I have completed my new Celtic Necklaces! I have also had a fun time trying out all sorts of different surface finish techniques, from metallic waxes to mica powders. 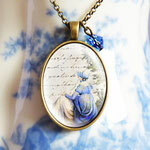 I love the new "Earthtone Colour" look these necklaces have, also thanks to the Silk Ribbon necklaces. For months now I have been working on new jewellery projects, working with completely new materials and alternative ways to make my jewellery. And finally I can almost reap the fruits of my labour. 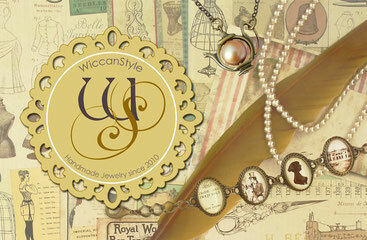 In the coming weeks I will be adding all my new pendants, necklaces, earrings & bracelets to my store. 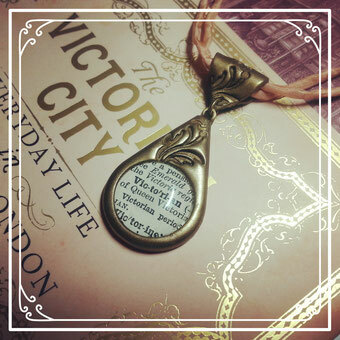 There will be a lot of dictionary style pendants, as well as pieces using text excerpts from old books and your all time favourite classical novels such as "Pride and Prejudice" or "Jane Eyre". 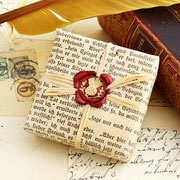 I have also updated a lot of my best selling items, such as the "Tudor Rose" and the "Historical Compass". Down below your can see a sneek peek of some of the new pieces I have been working on (not all of them yet fully complete). Then I discovered the vintage edition of these and other books and started collecting. 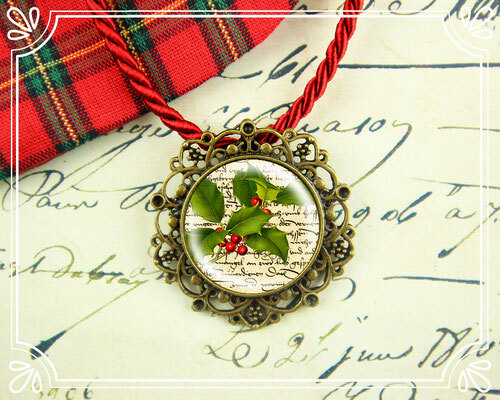 I have used old books often to photograph my jewellery on and turned some vintage copies of my favourite books into necklaces and pendants. Some are really old, however, and are starting to fall apart. I wanted to save them, but I didn't just want to leave them locked up behind a glass cabinet all the time. Then I thought, why not do something creative with them? 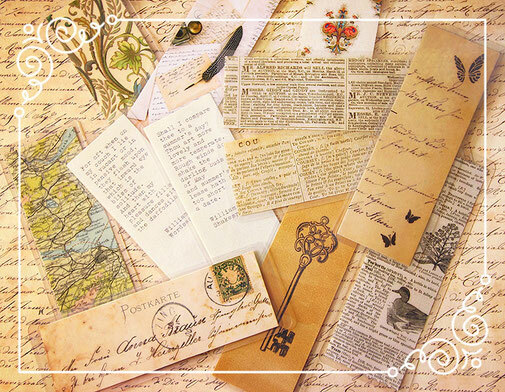 The answer was simple: Make bookmarks out of them! I went ahead cut and laminated the first vintage page from a book and then added a handstamped paper on the back. I loved the result so much, that I started making all sorts of bookmarks. 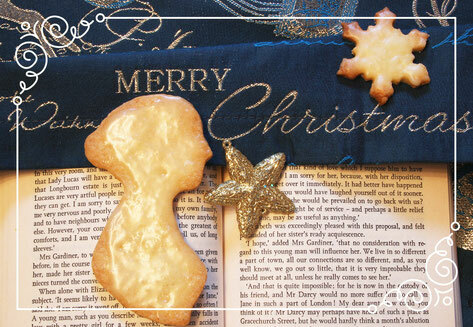 The WiccanStyle team wants to wish all customers a very Merry Christmas and a happy New Year! This coupon is valid until 31 December 2017. Holly has been the plant associated with Christmas in the western world for a very long time. Christians tend to believe that the prickly leaves of the holly represent the crown of thrones that Jesus wore during his crucifixion and that the red berries represent his blood. But since Christmas has also been associated rather with the Birth of Jesus than his death, I find that representation a bit farfetched. The holly plant has been associated with the winter season probably for much longer, some even say it goes back to ancient times, when the green colour of the leaves and the red colour of the berries, would bring life back into the house during the dark and cold days of winter and remind occupants of the coming spring. It has also been said that holly was used during the winter solstice, which occurs around the 21st of December and was celebrated in many pagan religions, as it still is today. Whatever the true reason behind it, we still admire the holly for its evergreen quality and beauty. The festive season of Christmas is almost upon us! At least that is what it feels like when I walk around uptown and admire all the lovely Christmas decorations and lights that have already been put up. 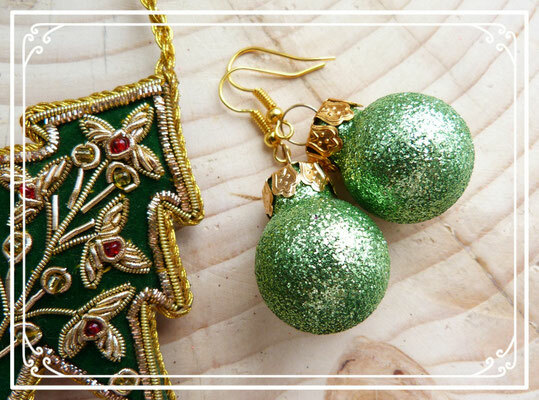 WiccanStyle is also preparing for the festive season with some new jewellery pieces perfect to make your holidays this year just a little bit more special. 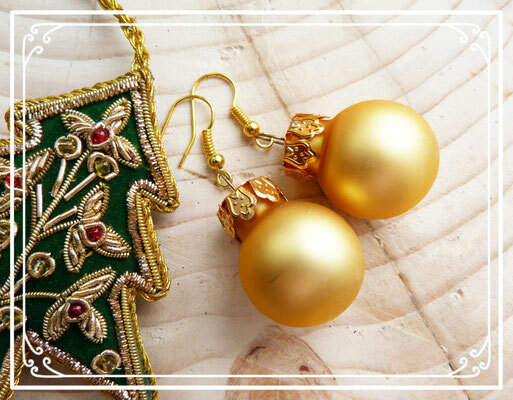 For our etsy customers we are offering a small selection of Christmas earrings and soon to come also a Christmas holly necklace & earrings set. 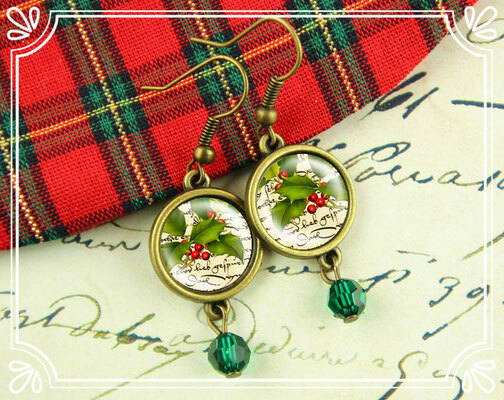 For our dawanda customers we are also offering a wide range of Christmas tree ball earrings, made out of real glass. 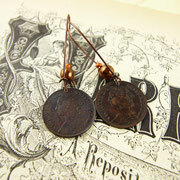 Finally we are offering authentic, rare vintage coin earrings from the Victorian era. 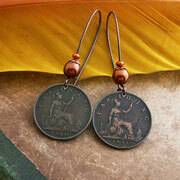 The coins used for these earrings are all Farthings, the smallest coin in Victorian times. A Farthing was worth a quarter of a penny once. Each coin has a different, unique Patina, formed over the years. 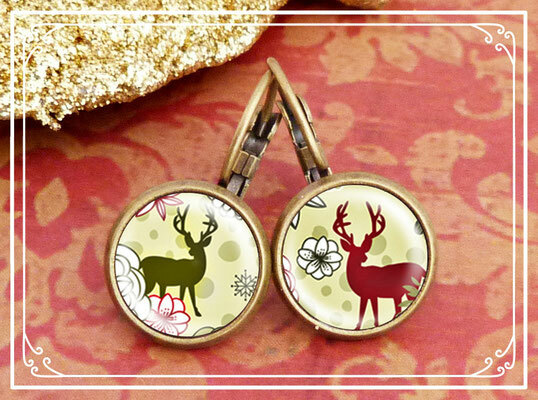 Now they have been crafted into earrings, using copper plated earring hooks and matching glass pearls. 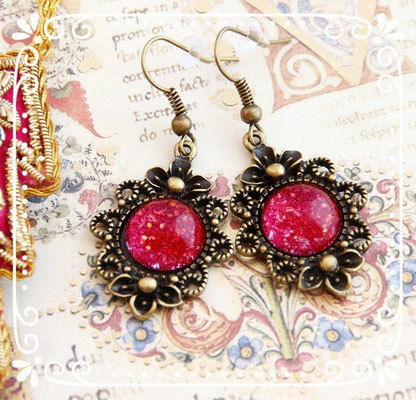 These earrings will be presented in a small gift box. We are also adding a document with an overview of events that happened in those years, that the coin was stamped. 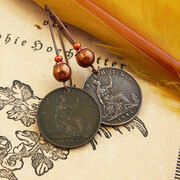 The current range of earrings include coins from the year 1860 - 1897. See the full range of Coin Jewellery. Autumn has arrived indeed. The days are growing shorter and much colder, at least in Northern Bavaria. But before winter coats the landscape in frost and snow, we still can enjoy the lovely colours of Autumn. I always love to see the leafs begin to change from that vibrant green to those warm, orange and red colours. With the new design of the website now almost finished, I have turned my attention to the new business cards. Their design now finally matches that of my online store and although it took some time getting the perfect photos, I am really pleased the result. The printed version looks slightly more yellowish, which I find works really well in fact. 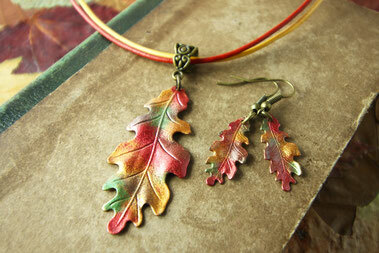 Again the colour scheme works much better with my bronze coloured, vintage style jewelry I find. 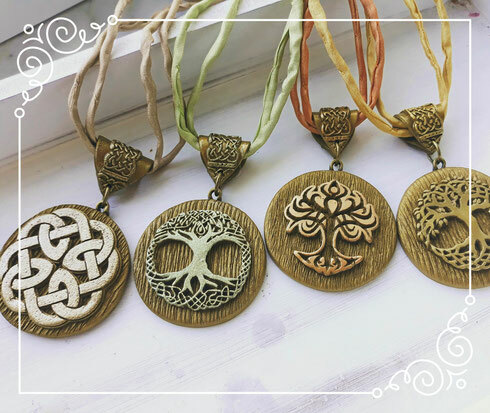 The WiccanStyle Logo, which you can see on the business card, as well as on the store header, is actually the exact shape of some of the round pendant necklaces I have for sale and also hope to use for more necklaces in the near future. During one of my first visits to Bath, Somerset, I fell in love with a portrait of Jane Austen which was drawn by her sister Cassandra. 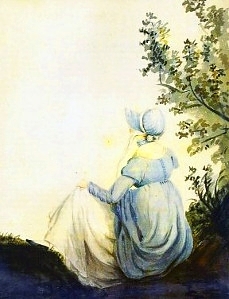 It shows Jane from behind, sitting by a tree and gazing out upon the open landscape. 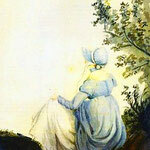 I loved the blue colour of her dress and bonnet and the way she was presented in this picture. It's far from a classic author's portrait and perhaps that's why I like it. 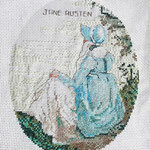 I would like to imagine her sitting in just such a pose whilst writing her novels - a very romantic notion to be sure. 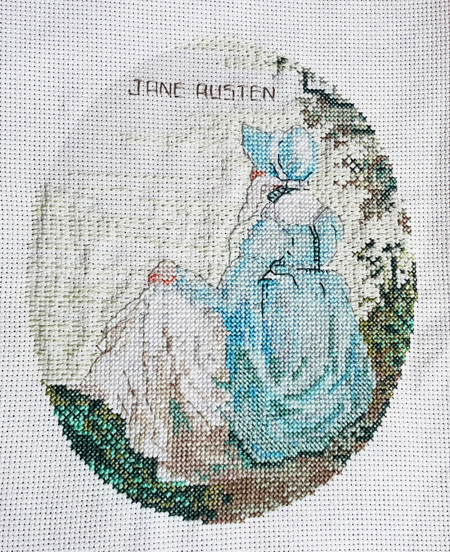 The Jane Austen Centre in Bath had this very portrait as a cross stitch design, which I bought back in 2006 and completed work on about a year later. I wanted to frame it, but somehow never got around to it. 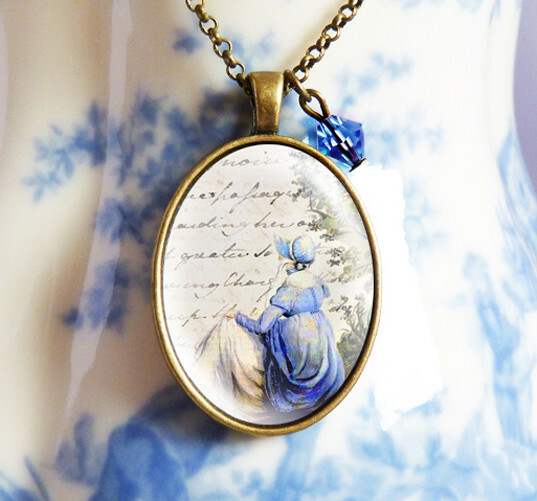 Years later, when I started working on a Jane Austen necklace, I remembered that Portrait and turned into a necklace, using her own handwriting as a backdrop for the image. The perhaps better known portrait is a sketch her sister Cassandra took of her, showing her facial features. 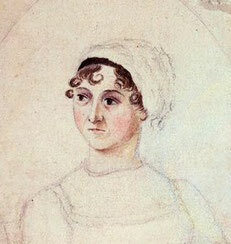 Although sadly never finished, this image was later on used to draw an idealized portrait of Jane after her death. It has since become well known and I have started working on a new necklace using this image, which you can see below.